Please note: the deadline for submitting Expressions of Interest has been extended to Friday September 21, 2018. The Lorain Port Authority is currently accepting EOIs and will review all received by 9/21/18. On Thursday, July 26th the Northern Ohio Chapter of NAIOP, the US Environmental Protection Agency, Lorain County, City of Lorain Port Authority, Lorain County Board of Commissioners and Vita Nuova partnered to hold an event to introduce over 500+ acres of publicly owned waterfront land along the Black River for development potential and to discuss the newly released Federal Opportunity Zone regulations. 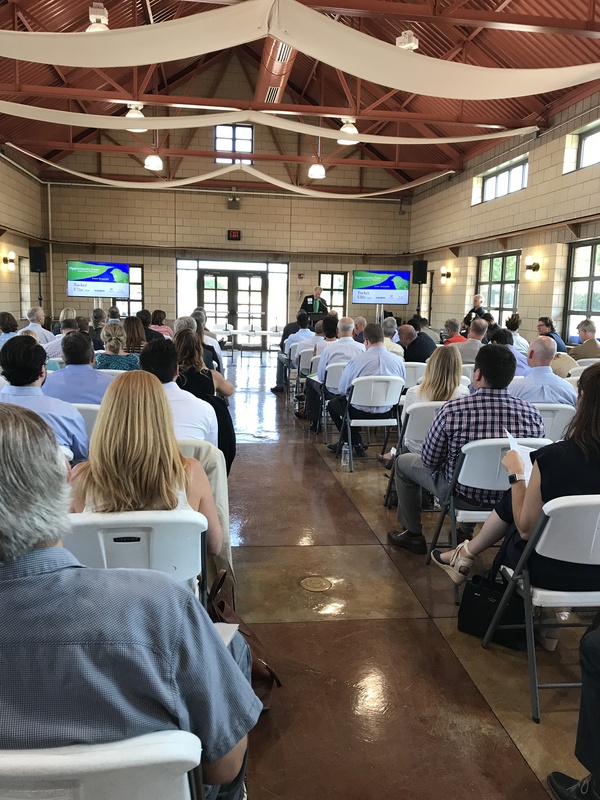 Held at the Black River Landing Transportation Center (often referred to as the “Train Station”) the event entertained a sold out crowd of more than 120 individuals from the development community in Northeast Ohio. The attendees heard about the history of the Black River Clean up and development and the recently released Expression of Interest (EOI) by the City of Lorain Port Authority. The EOI represents five vacant publicly owned sites (totaling over 500 acres) and two privately owned sites (roughly 100 acres) along the Black River in downtown Lorain that is ready for development opportunities. Images and explanations of these sites were also on display throughout the room for the attendees to view. As part of this overview, local incentives were presented by County Commissioner Ted Kalo who welcomed the development community to Lorain and stated the city and county were ready to work together to assist in the development. Patricia Overmeyer, Acting Deputy Office Director, EPA Office of Brownfields and Land Revitalization also was in attendance and discussed environmental and financial incentives available at these and other sites. In addition, the event discussed the new Opportunity Zones program, which allows funds to be used for economic development purposes in exchange for Federal tax breaks. As part of this, there was a panel discussion with Tracey Nichols, Director of Financial Services/Project Management Consultants; Dan Bergrin, Vice President & Tax Counsel, GBX Group; Diana Rife, Revitalization Project Manager, JobsOhio and moderated by Michael Taylor, President, Vita Nuova. The attendees also had the opportunity to tour the EOI sites via a boat tour along the Black River guided by Tom Brown, Executive Director of the City of Lorain Port Authority and Don Romancak, Director of Lorain County Community Development. 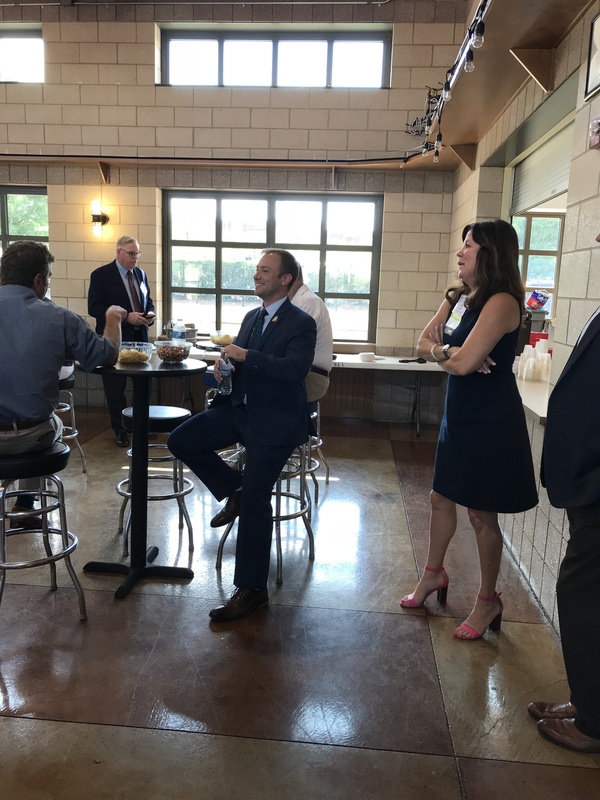 The well attended event also provided an opportunity for the attendees to network and furhter discuss the development potential in Lorain, OH.